Long and lush eyelashes can make a dramatic change in the way that your makeup looks. That natural look is always in but sometimes we just need to kick our routine up a notch and go for the glam. The amount of eye mascara is directly related to how formal or elegant we want to look and the statement we want to make. Artificial lashes and extension treatments can tend to make our lashes weak over time if not done properly or with quality products. Instead, get stunning eyelashes naturally with some products that are probably in your home right now. Here’s three of the most popular ways to make your eyelashes stand out on their own. Castor Oil is known for helping to grow your hair and eyebrows. Did you know it can help your lashes grow long as well? Castor Oil has natural anti-bacterial properties that help in the growth of new hairs. It also helps to thicken your lashes as well. Dab onto a cotton swab and apply it to your lashes from the roots to the tips. As always, wash your face clean before applying. Aloe Vera Gel is an easy way to straighten your eyelashes when put on with a clean mascara wand. Aloe Vera contains vitamins that naturally strengthen and grow lashes. Put on the gal before bed so that it can work its magic while you sleep. Coconut Oil and Essentials is a great home remedy for long, beautiful lashes. Mix ½ teaspoon of coconut oil with four drops of lavender oil. 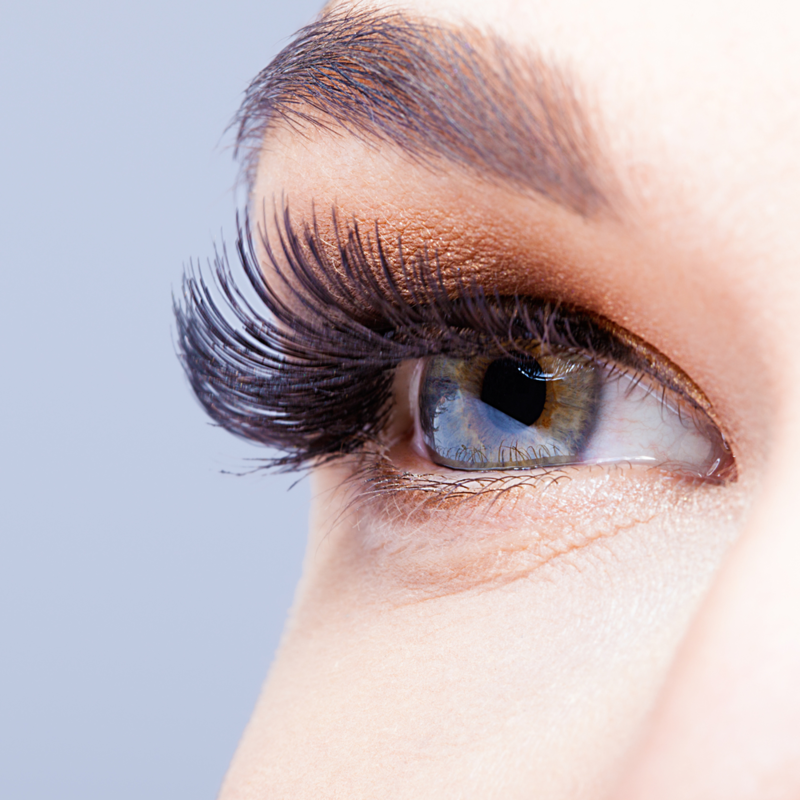 Apply on clean lashes with a cotton swab or Q-tip. Make sure you aren’t sensitive to lavender oil before applying. If you need some help with your makeup application or ready for a new look, we are here to help. Our team at TRU Salon + Spa can help give you an elegant look for that special occasion or teach you how to achieve a natural look with quality makeup. Give us a call at one of our two locations - Branchburg, NJ (908) 218-9878 or Warren, NJ (908) 753-9878, book online, or download the app for free from iTunes, Google Play, or Amazon.